My first GitHub repository is out! 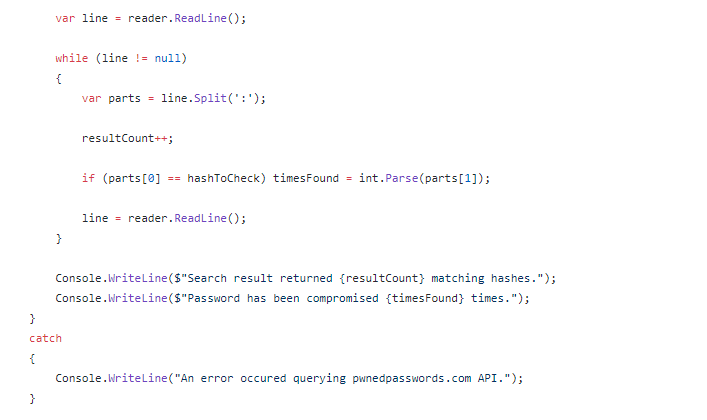 Inspired by Computerphile’s video on checking your passwords, see here; I forked their sample code to improve the C# implementation (and ignore the python, that I don’t really get along with). Not only have I got my way around GitHub ahead of my next project (Pitch-Class Set Theory Analysis), I’ve also got a secure way of checking passwords!